Formulated specifically to care for hands in the kitchen, the Cucina regenerating hand cream channels all of the benefits of the olive tree. Its formula is enriched with cold-pressed olive oil known for helping maintain the skin’s elasticity, suppleness, and hydration. Its non-greasy texture absorbs quickly, leaving the skin hydrated and deliciously perfumed. Extend the life of your original bottle and cut down on waste with our refill also available. A delicate blend of coriander seeds and olive wood, this sophisticated fragrance is both aromatic and slightly woody. Coriander seeds release a unique aroma, both sweet and spicy. 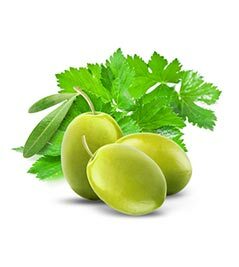 Cucina's subtle blend of coriander and olive tree extracts evokes deliciously refined Mediterranean cuisine. This aromatic and woodsy fragrance marries perfectly with the flavors of slow-cooked dishes and grilled beef. After each wash, apply a small amount to the back of the hand. Massage until complete absorption. Use in conjunction with the liquid hand soap of the same fragrance.